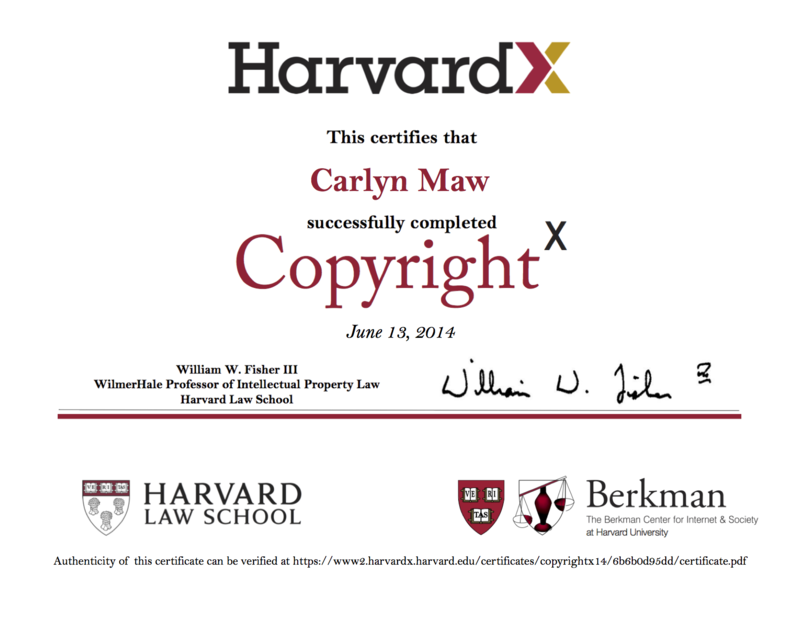 carlynorama | I passed CopyrightX! But don’t ask me anything, because I passed by the skin of my teeth (and giving legal advice without being a lawyer is illegal.). Apparently lots of coffee does not replace actually having gone to law school. I started teaching at Pasadena City College during the course and that definitely impacted the amount of time I had to study. However, without question the experience is worth it. If you want to be kept posted as to how to enroll in the next one sign up at http://copyx.org/get-involved/.